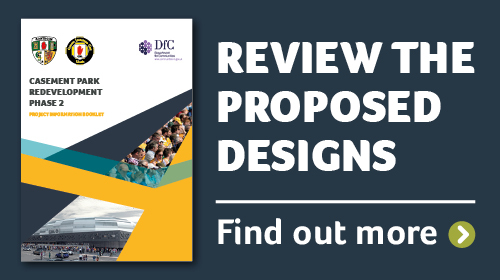 Ulster GAA has welcomed correspondence received from the Department for Infrastructure (DfI) this week which says that in the absence of a Minister, the Department may make the final decision on the Casement Park planning application. Whilst welcoming this development, the GAA has expressed its frustration at the time it is taking to conclude the assessment process. DfI has acknowledged the delay and has confirmed that responses will be issued as soon as possible. Commenting on the delay Tom Daly, Chairman Casement Park Project Board, said: “The planning application for the redevelopment of Casement Park was submitted in February 2017, yet over two years later the length of time it is taking for some statutory bodies to respond to the planning authority is a cause of frustration within our project team and across the wider GAA community. “Our expert team has worked closely with the Department for Communities (DfC) to support all requirements within the planning process. We implemented government recommendations in full, extensively consulted and produced a highly detailed and comprehensive planning submission to ensure the planning authority had all the information it required to make an informed decision on our plans to deliver upon the strategic stadium needs of our members and our communities. “Ulster GAA recognises and fully respects the required due diligence by the Department for Infrastructure (DfI) and all statutory consultees. However, the prolonged nature of the planning process is stalling the project’s progress and is also impacting its budgetary estimate which is now likely to be in the region of £110m. With every day of delay pushing out the earliest possible start on site for the project it is imperative that government departments discharge their responsibilities as expediently as possible to mitigate against increased costs. 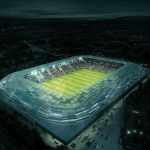 “Ulster GAA is resolutely committed to the delivery of this project and to addressing the frustrations of our members and their communities’ that Gaelic Games remains the only sport which has not had its strategic stadium needs delivered within the Regional Stadia Programme, a Programme for Government priority. 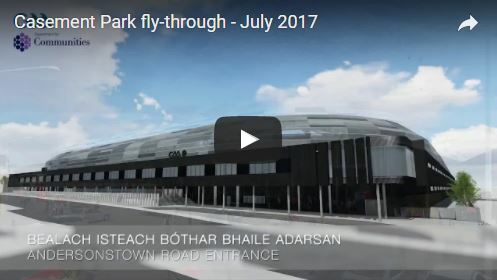 “We will continue to work closely with the Department for Communities and while we acknowledge the challenges, not least the negative impact upon communities that have yet to benefit from the investment in major stadium infrastructure, we look forward to an efficient completion of the planning process and the commencement of the next phase of the project’s development. 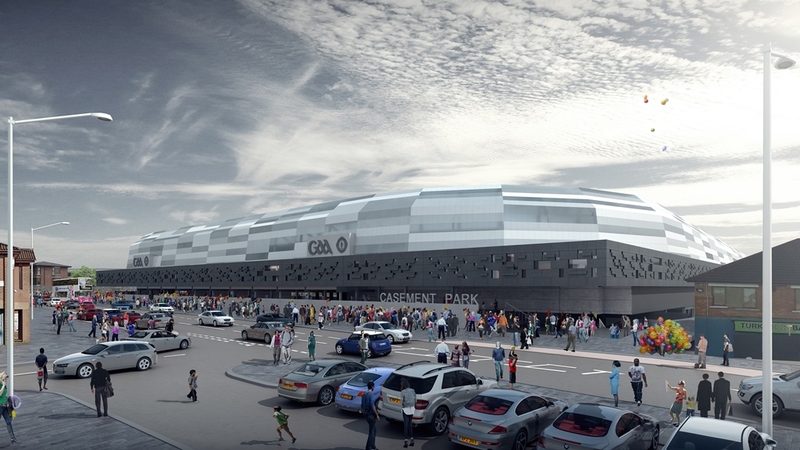 Update from the GAA on progress of the Casement Park project. 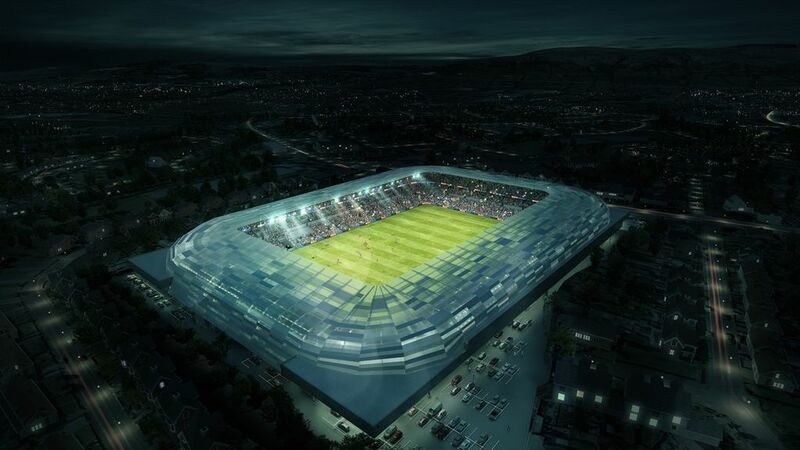 Ulster GAA has announced that following an unprecedented 32 week consultation period it submitted its planning application today, to Belfast City Council for an iconic new provincial stadium at Casement Park. 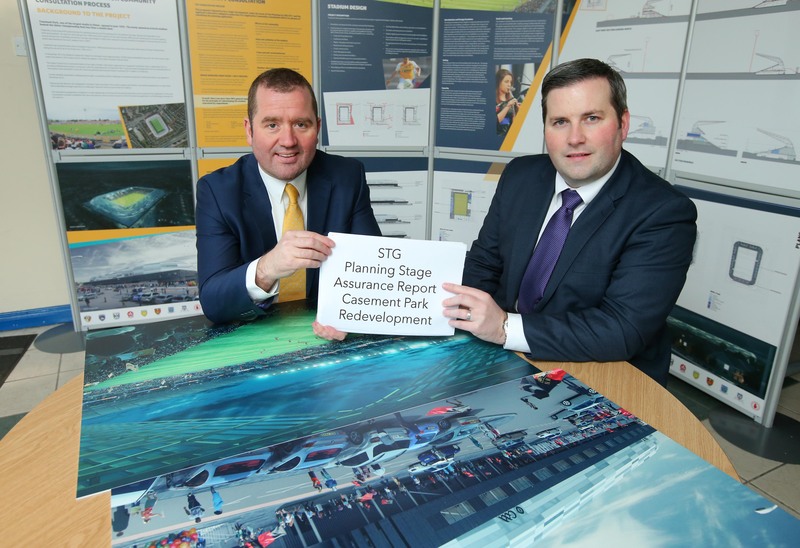 A report on the Casement Park project by the Safety Technical Group (STG) for the Casement Park Re-development represents a significant and very positive milestone in the development of the scheme, according to Tom Daly, Chairman of the Casement Park Project Board. Ulster GAA today announced that the Pre-Application Community Consultation Phase 2 as part of the planning process has drawn to a close. After an unprecedented 31 weeks consultation and with nearly 5,000 individuals and organisations engaged to date, the process has been comprehensive and far reaching. 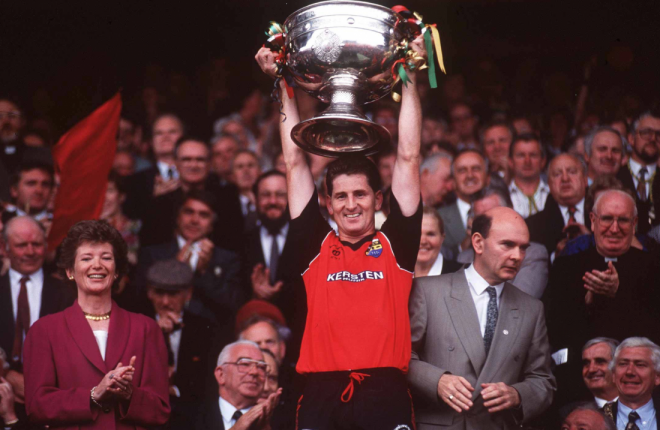 Ulster GAA has opened a Casement Park office at 135 Andersonstown Road. 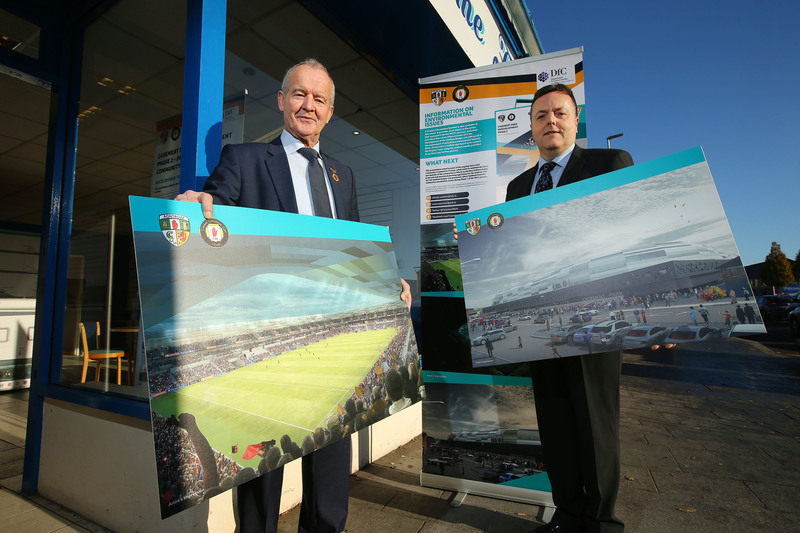 Ulster GAA President, Michael Hasson and Collie Donnelly, Chairman of Antrim County Board opened the office, which is opposite Andersonstown Leisure Centre, to support the ongoing consultation on the proposed new stadium design. 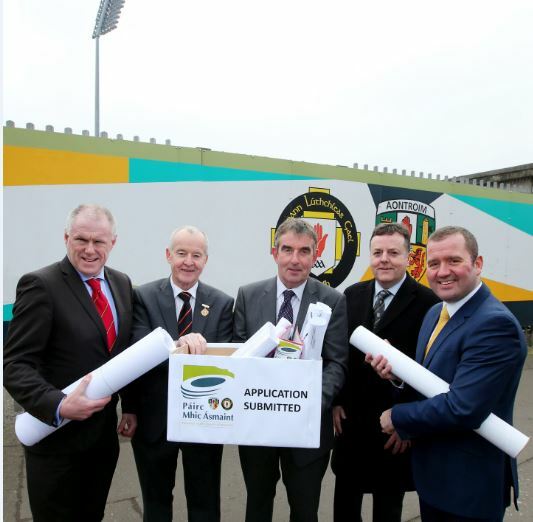 Ulster GAA today unveiled its proposed designs for an exciting new provincial stadium at Casement Park to members of the public at West Belfast’s Conway Mill and outlined its process to seek the views of all interested parties. 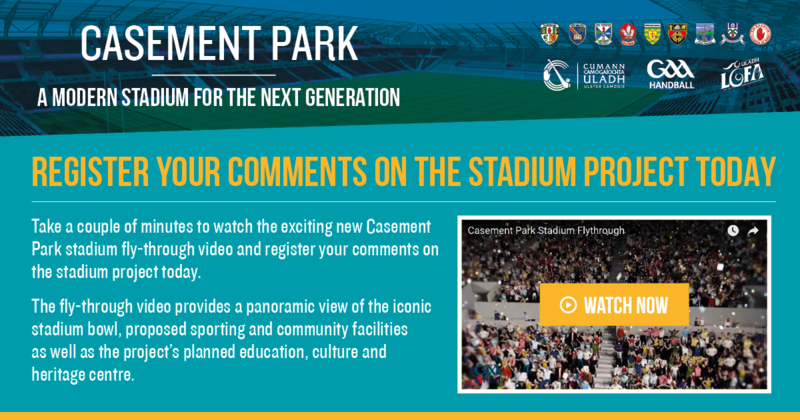 To receive regular updates on the Casement Park redevelopment project please submit your name and email address using the button below.